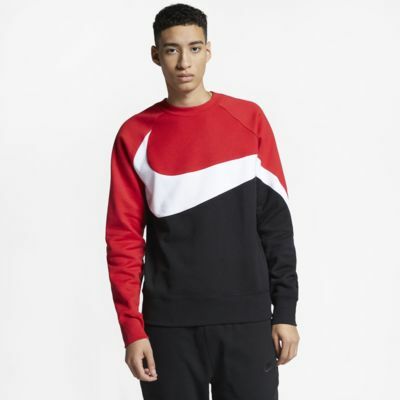 The Nike Sportswear Crew is designed with a Swoosh design that wraps across the chest, around the arm and onto the back for a look that jumps off the page. Brushed-back fleece fabric is soft and comfortable. Giant Swoosh design creates a dimensional look. Ribbing keeps out the cold and keeps in your body heat. Fabric: Body: 82% cotton/18% polyester. 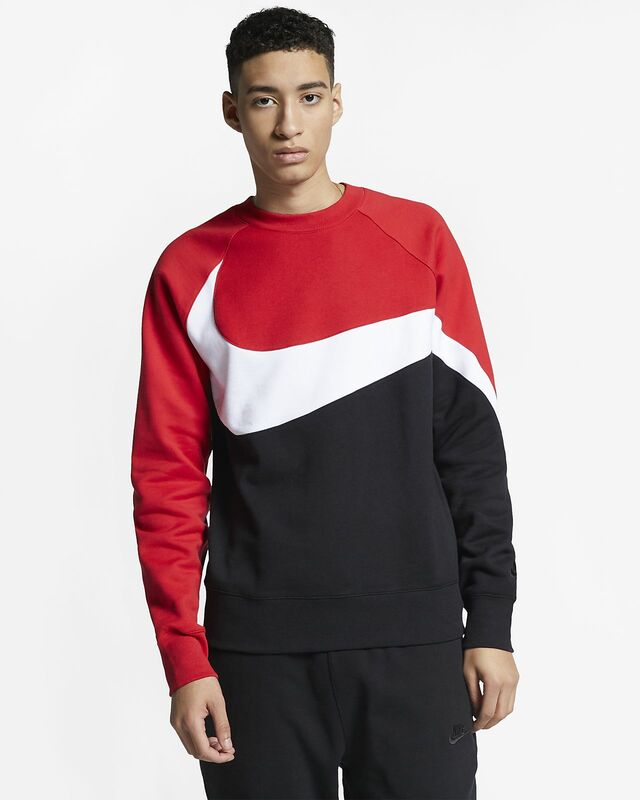 Rib: 98% cotton/2% spandex. It's a dingy Black. I am not a satisfied customer.